Item 1991.028 item 184 - Elizabeth Street, Brampton, Ont. 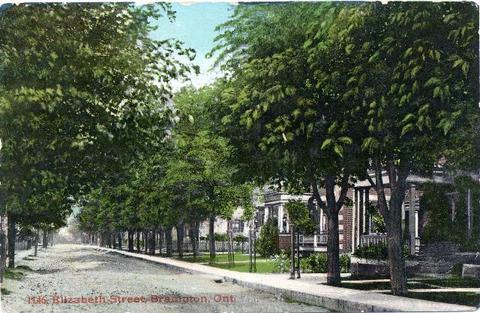 Stedman Brothers Limited was incorporated in 1908 to trade, manufacture and publish books, magazines and postcards, and had branches in Toronto and Brantford, Ontario. See also "Fonds F2339 - Mary Stedman fonds" at Trinity College Archives.